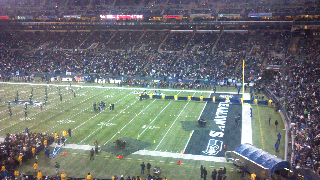 This is half-empty Century Link Field. Amazing how many seats are open for this Thursday night game. 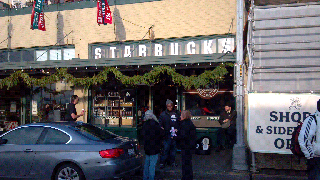 Just a guess but Patrons might be at original Starbucks on Pike Street, also pictured. Lattes better value than football game.